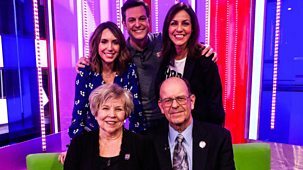 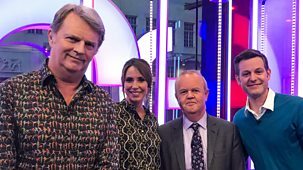 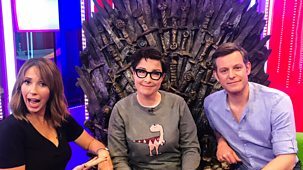 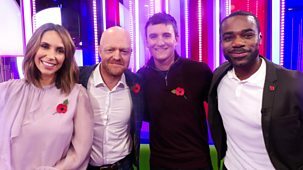 Jake Wood joins in the studio as Matt Baker prepares to take on the Rickshaw Challenge, and the programme meets one of the cameramen behind Sir David Attenborough's new series Dynasties. 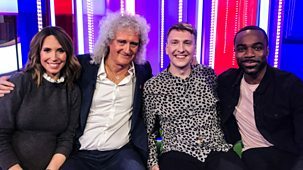 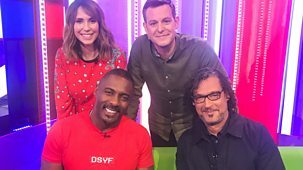 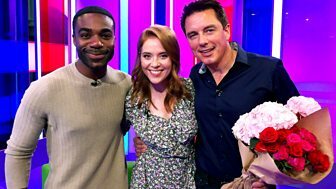 Alex Jones and Ore Oduba are joined by comedian Joe Lycett and Queen guitarist Brian May. 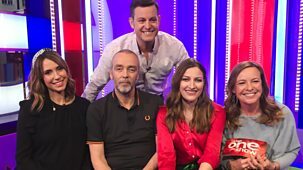 Plus, the finalists from the BBC’s Race Across the World. 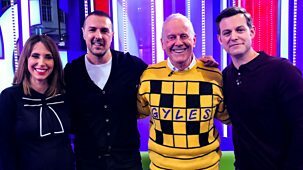 Paddy McGuinness joins Matt Baker and Alex Jones to talk about his latest TV project, Catchpoint. 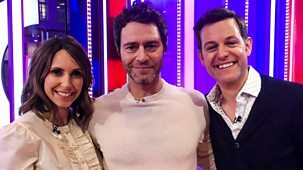 Matt Baker and Alex Jones are joined on the sofa by Take That’s Howard Donald. 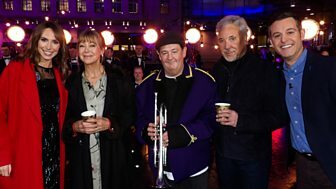 Plus why hundreds of people make pilgrimages to a graveyard in Boho. 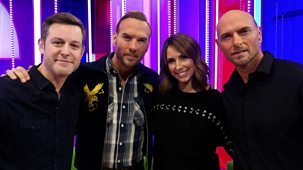 Alex Jones and guest host Rylan Clark-Neal welcome Danny Dyer onto the sofa. 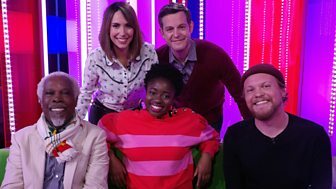 Plus the story of the first British female pro-wrestler, and The Specials perform live. 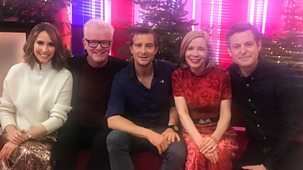 Matt Baker and Alex Jones chat to Chris Evans about his time at Radio 2, and Bear Grylls about his recent adventure with Gareth Southgate. 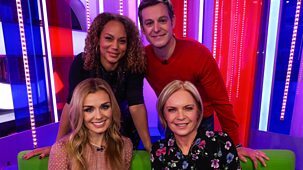 Classical singer Katherine Jenkins and journalist Mariella Frostrup join Matt Baker and Angela Griffin in the studio. 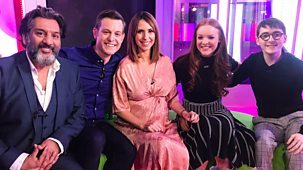 Presented by Matt Baker and Alex Jones. 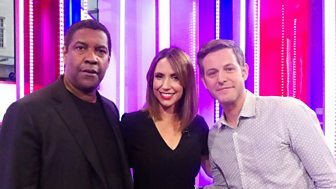 Oscar-winning actor Denzel Washington joins Matt and Alex on the sofa to talk about his new movie The Equalizer 2. 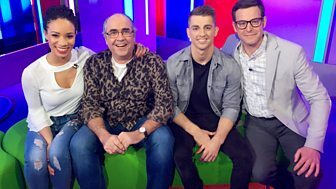 Matt Baker and Michelle Ackerley are joined by Olympic athlete Max Whitlock and broadcaster Danny Baker, who talks about his new one-man stage show.